Parents bringing their families on vacation in Tuscany are sometimes a bit anxious about whether their children might not get somewhat bored with the usual round of cultural excursions in the art cities. There are many experiences to enjoy in Tuscany being extremely popular among children, and none is more exciting for them than going for an excursion through the Tuscan countryside in a horse-drawn wagon! A range of excursions in the Chianti area of Tuscany. We offer some already-planned outings ranging in duration from 45 minutes to 2 hours, and we will also be happy to plan a customized trip for you and your children. Excursions can be shared or private, and we are happy to include “adult” activities such as wine tastings along with a stop for a light lunch. 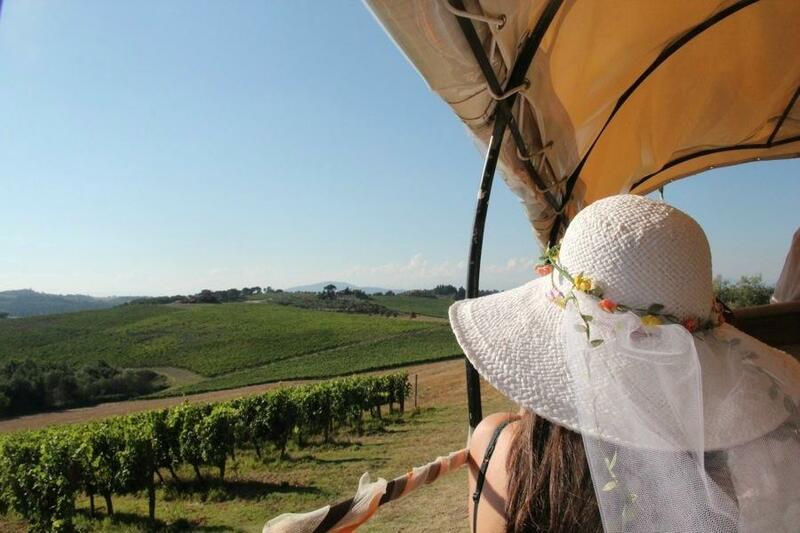 WANDERING IN CHIANTI: 2 hours trip in horse-drawn wagon combing with wine and typical products tasting, pic-nic in the countryside, private theater entertainment during the trip, historical guided nature walking tour. Price upon request. Exclusive use for 10 people.